About Us | Striven Inc.
Striven Inc. is a software consulting firm committed to helping Atlantic Canadian organizations improve collaboration and productivity by helping to deliver innovative solutions using Microsoft products and technologies. Our mission is to provide the technical knowledge and expertise that enables our clients to achieve the best possible return on their collaboration and productivity software investment. In essence: You bring the problem; We bring the experience; Together, we implement a solution. 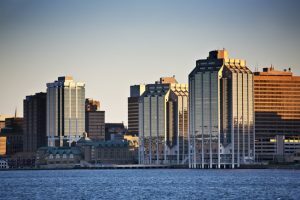 Our vision is to be acknowledged as the trusted SharePoint authority in Atlantic Canada due to our professionalism, our knowledge, and our commitment to excellence. We strive to be trustworthy, dependable, honest, experienced, knowledgeable and professional for our customers. Our values define who we are just like your values define who you are. With Striven, what you see is what you get.